Iran, Oct 9, 2018 - As we are on the brink of a new revolution in Iran and the toppling of the mullahs’ regime is now more definite and imminent than ever before, it is important to know how we have reached where we are and that events up to this point have not been mere coincidences. We can now be certain in saying the People's Mojahedin Organization of Iran (PMOI/MEK) and the organized Iranian Resistance movement are realizing the overthrow of this regime. While many now claim to oppose this regime, the PMOI/MEK understand the importance of the status more than any other party, planning and directing today’s circumstances towards a true revolution. Iranian Resistance leader Massoud Rajavi based his strategy on “resistance units” inside Iran, with the objective of establishing units inside the society and forming a bond between the files of this revolution with the ranks seen in the central core of this movement, being the PMOI/MEK. However, considering the powder keg circumstances of Iran’s society, the PMOI/MEK, having an organized structure, has been able to impact the on-the-ground events. One must admit that the resistance units are the most important force of the Iranian people’s revolution, and they are playing their historical role in various methods.  With conditions inside Iran and abroad changing dramatically, the PMOI/MEMK implemented its new strategy of launching resistance units. Numerous teams, forming a huge network, are now in direct contact with the Iranian society.